Nazareth is not only a city dear to millions of Christians, it is also the political, culture, and economic capital of the Israeli Arabs with not only a myriad of fascinating churches, but also an Old City replete with 18th and 19th century mansions, a tangle of cobbled alleys and an unsurpassed culinary scene. 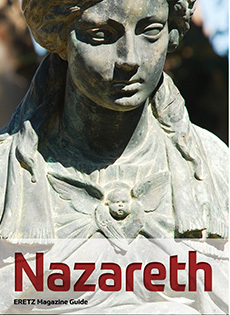 This ERETZ Guide will take you on a tour of the cultural, historic and religious sites in Nazareth - together with tips for restaurants, boutique hotels, shopping, traditional arts and crafts and a bustling party scene that you will not believe. 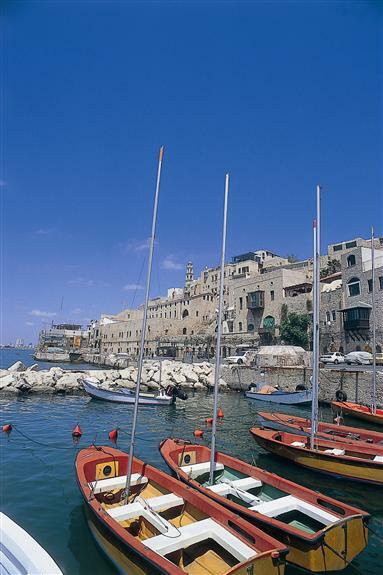 Jaffa is one of the most fascinating cities in Israel. It has a 4000 year history and epitomizes the struggles between Jews and Arabs. It is the city from which Tel Aviv was born and has suffered from neglect. Now Jaffa is being rediscovered and shops, restaurants and markets are popping up for all to enjoy. Take a tour around the city with our Guide to Jaffa. 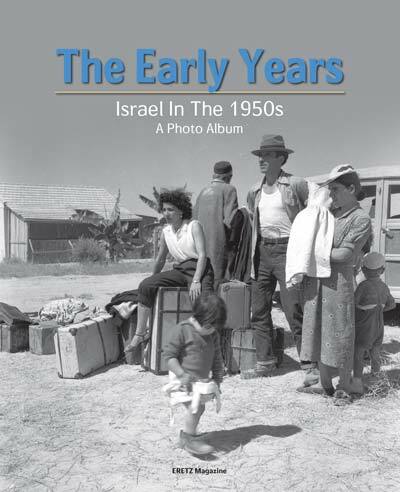 For Israel, the 1950s were its formative years. It was a decade of concerted national effort to forge a state and nation like any other member of the family of nations. These were years of civil mobilization, mass aliyah, austerity, insecure borders, and hostile neighbors, as well as another war that ended in a victory that was seen as an expression of the young state’s strength and fortitude. In this book, we have tried to focus on the shifting perspective of the ever-changing understanding of the past. We have organized the articles according to archaeological periods for easier reading. The award-winning magazine focuses on the heritage, geography, history, and culture of the Land of Israel and the Jewish People. 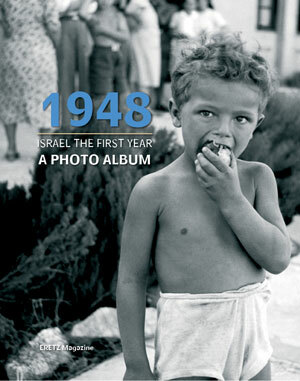 Written by the best experts on Israel lore, the magazine brings the Land of Israel to your doorstep six times a year. ERETZ is published 6 times a year. In 1948 Israel was a poor country in the midst of a war, absorbing thousands of new immigrants and building the infrastructure for a new country. These challenges were met with a spirit of pioneering and a will to make this work. This album of the first year of Israel captures the spirit of those days as it was carefully staged by the photographers of that period. The expulsion of the Jews of Spain in 1492 lead to a widespread belief that the messiah is about to reveal himself. 174 years after the trauma of the expulsion Nathan of Gaza, announced to the world that Shabbetai Zevi is the long awaited messiah. Even with Zevi's eventual conversion to Islam many of his followers remained faithful to him - some of their descendants to this day. Following the Six Day War in 1967 the city of Jerusalem, after being divided for 19 years was reunited under Israeli rule. In the fifty years that have passed since then Jerusalem has gone through many rapid changes. From the euphoric mood of the 1970s to today's somber reality, from a small town to Israel's largest metropolis and from a dusty end of the road place to one of the most beautiful and meaningful cities in the world. Fifty years after its reunification the future of Jerusalem has become one of the central issues in the political debate on the future of the Middle East. It also remains a hauntingly magical and lovely place, dear to the hearts of millions around the world. The ERETZ Classic issue on Jerusalem will explore the last fifty years in the history of this timeless city. King Herod of Judea, was one of the most controversial figures in the history of the Land of Israel. The grand builder of Jerusalem, Ceasarea, Samaria and more, personal friend of Mark Anthony and Augustus, fearless fighter, statesman and politician, and hopeless romantic with 9 wives and a conniving family. Attitudes to Herod have changed over the years. Jewish historiography portrayed him as a villain; others saw him as Herod the Great. In the last three decades our views of Herod have changed. Archaeologists have exposed the scope of his monumental building works, scholars have marveled at his abilities to survive in a harsh political climate, and create a stable and economically viable kingdom. Two years ago, after eighty years of searching, Herod's grand tomb was finally found – in Herodium – the funerary city that he built to preserve his memory. 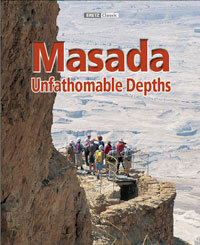 This October will be the 50th anniversary of the Masada excavations. This fall ERETZ Magazine wil publish a special album dedicated to Masada and the people who excavated the mountain – with in depth articles with the archaeologists involved in the excavations and new insights. The album will also focus on the ten thousand volunteers who participated in the dig. Jerusalem, with 5,000 years of history, is an ever-changing city. It is the center of a lively archaeological and historical debate, a multicultural home to different peoples, religions, ancient cultures, and the most modern influences. Jerusalem has a pop music scene that is beginning to be heard around the world, a unique culinary world, and a plethora of new ideas emanating from its many schools and universities. Jerusalem is a complicated city to decipher, and a good guide to the city can make the difference between a visit and a great experience. The ERETZ Guide to Jerusalem does just that. Written by Yadin Roman and the experts of ERETZ Magazine, it is the ultimate resource for both the visitor and the armchair traveler.The first edition is shipping now. The ERETZ Guide to the Hidden Gems of Israel gives a myriad of travel routes that will lead you to places that will give you true insight regarding the best that Israel has to offer: boutique hotels and spas; unique restaurants, from world-class international cuisine to local homemade cooking; rambling routes, special events, and festivals; and night spots, cultural highlights, music venues, and more. The capital of Upper Galilee, Safed is one of Judaism's four holy cities. In the 16th century, this mountaintop city was home to the mystics and rabbis whose influence is felt to this day. 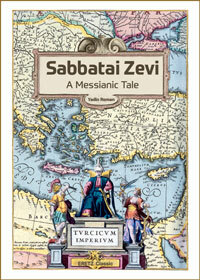 This reveals both the ancient city of the kabbalists and the modern city of mystics and artists to the reader. The holy city to three religions, Jerusalem has been a place of pilgrimage for thousands of years. It has been razed and rebuilt repeatedly, each time by a different culture with different ideas about what a city should be. As a result the Old City of Jerusalem is a glorious mosaic of religious shrines, historic sites and cultural monuments. This unique guide to the Old City of Jerusalem takes the visitor to the famous and well known sites of Jerusalem, as well as to the hidden gems of this 5,000-year-old city. The 4,000 year old city of Jaffa, for the last six decades Tel Aviv's southern part, is now regaining its unique and separate character. In the last decade it has turned into the trendiest spot in Israel, with gusto of restoration and recreation, new neighborhoods, markets, a lively harbor scene, a trendy night scene and an example of Jewish and Arab coexistence. 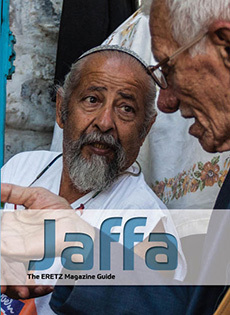 The ERETZ Special issue will focus on Jaffa's long history, its diverse population, the artist community, historic sites, new boutique hotels and the Jaffa scene: from culinary to bars and nightclubs. Like all ERETZ Special issues the print run will be limited. This is the time to pre-order your issue and make sure that you will get a copy – that is sure to be a collector's item. 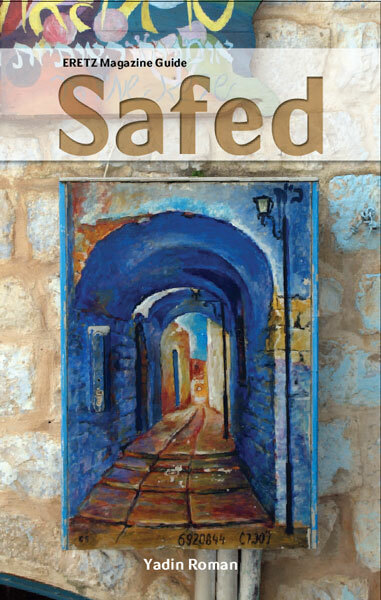 Included in the issue is a handy guide to Jaffa and its sites. With over 6,000 miles of marked hiking trails, Israel is one of the world's best-kept hiking secrets. Israel's varied landscapes, ranging from lush Mediterranean vegetation to desert offer the hiker a myriad of different hiking experiences. The 36 hiking routes in this book range from challenging hikes to simple jaunts. 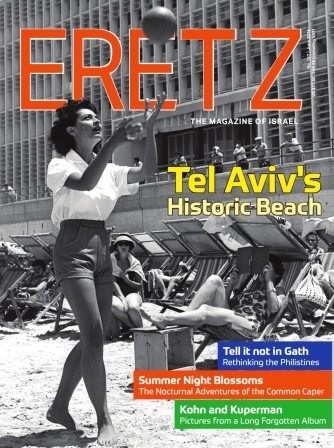 for over 30 years the staff of ERETZ Magazine have been hiking, mapping and marking the trails of Israel. The 36 routes in this book are samples of the best trails that Israel has to offer. full color photographs and maps. Israel has over 60 major national parks and hundreds of nature reserves. This book and guide introduces the reader to the parks that have a historic and biblical orientation - and also to the major nature reserves - in order to portray not only the human history of the land, but also its natural history. It can be read to obtain background information about the sites, their discovery and history and also used as an on-site guide for an in-depth tour of the most significant parks and sites in Israel. 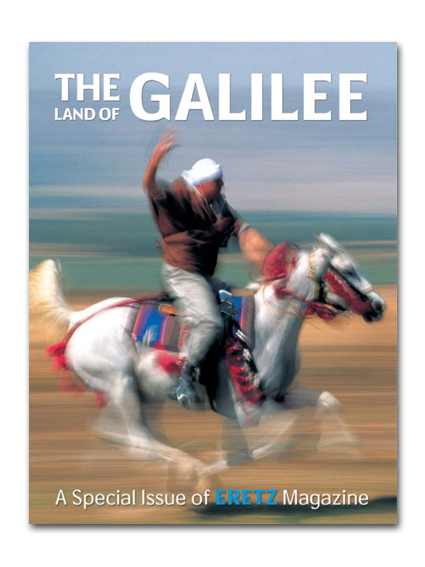 ERETZ Special issue on the Galilee is a vivid portrayal of this unique region by writers and scholars with intimate knowledge of the region, portraits of prominent Galileans - past and present and more The issues include a separate map and pocket guide with travel itineraries and ideas and tips for making the best of a trip to Galilee. Includes: map and pocket guide. What is it that makes Tel Aviv the most cosmopolitan, the most Israeli, the most friendly, frantic, and haimish of all Israeli cities? The ERETZ Special Issue on Tel Aviv provides a new perspective on the world's first modern Hebrew city. 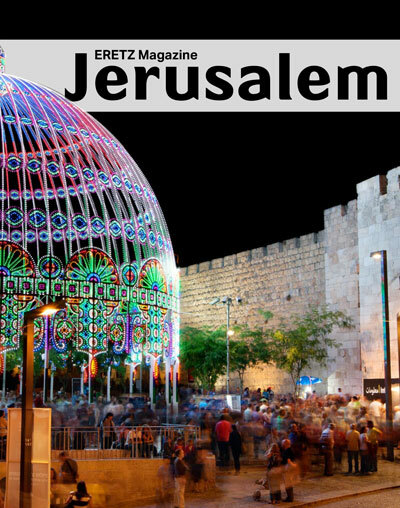 The best of ERETZ is back, and in book form, giving you an opportunity to read articles you may have missed, revisit memorable places and events you encountered in past issues, and see a wide and deep panorama of Israel over the two decades of ERETZ Magazine's publication. This elegant, 336-page volume contains 60 articles of the best articles published in ERETZ Magazine, arranged by topic for your convenience. ERETZ Magazine's up-to-date guide and handbook on Israel for the traveler to Israel on his own or in a group. Written by Yadin Roman, ERETZ's editor-in-chief, one of the foremost experts on the lore of the land. The ERETZ handbook and guide to Israel includes in-depth chapters on Israel's geography, history, population, economy, political system and more. The detailed guide includes chapters on Jerusalem, Tel Aviv, the Galilee, Coastal Plain, Judean Desert and the Negev. Innovative travel routes give an insight into Israel gained from years of traveling the land. This is a guide's guide, written by the dean of guides and travel in Israel.